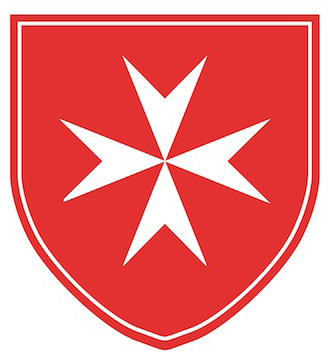 I joined the Order in 2009 and became Hospitaller in April 2010 and Area Chair in 2017. I became a Knight of the Order of St. Gregory in 2009 and I am a Knight Commander with Star in the Equestrian Order of the Holy Sepulchre of Jerusalem and have been a Knight of Columbus for 25 years. I have been married to my wife Susan for 36 years and have 5 children and 4 Grandchildren. I was received into the Order in 2016, with Susan, my wife of 29 years. Both of us are Florida natives and we have three children and one grandchild. I became the Hospitaller for the Northeast Florida Area in 2017. I am a member of Knights of Columbus, the Ancient Order of Hibernians, and the Arch-confraternity of St. Stephen. I joined the Order in 2001 and served as Area Chair for 6 years. I became a Knight Of Obedience in 2006 and have served on the Board Of Councillors for 3 years. I am a Knight of St. Gregory since 2009 and also a Knight of the Holy Sepulchre. I have been a 4th Degree of Knights of Columbus for over 60 years. My wife Patricia, DMOb, and I have been married 61 years and have 4 Sons, 8 Grandchildrn and 1 Great Grandson. I was ordained a Permanent Deacon in the Diocese of Rockford, IL in 1996. Since then, I have served as a Pastoral Associate at St. Joseph’s Church in Richmond, IL, leading their RCIA program and taught in the RCIA programs at San Juan del Rio parish, Holy Family parish, and the Basilica of Immaculate Conception, where I currently serve as Pastoral Associate. I also regularly serve as Master of Ceremonies for the Diocesan Bishop and I am a Committee member for many of the Diocesan Pro-Life activities. Currently, I am the Director of Religious Education at the Basilica of Immaculate Conception, where I coordinate the RCIA program and oversee the administration of all of the Grade K-8 Religious Education classes each Sunday. I have been married to my wife, Patty, for 43 years and we have 4 sons and 5 grandchildren.